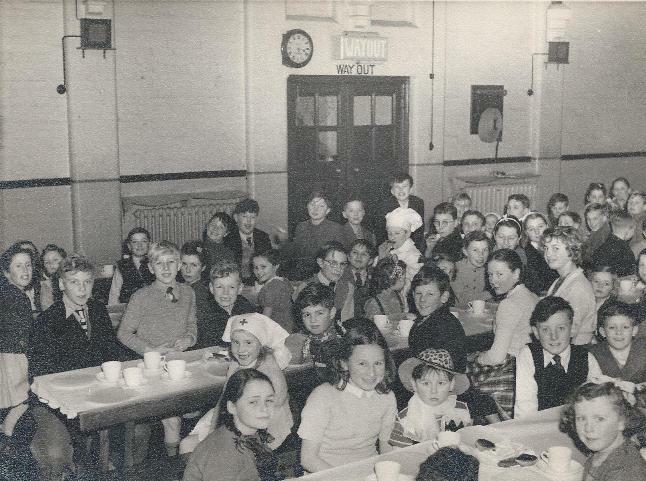 Pauline Stanhope (nee Young) has provided two photos taken at a Gas Works children's party in the early 1950s: I think this was taken in St Paul's hall. If you look at the bottom of the Plaque on the wall you can see that this hall was opened in 1916. I am on the ladies right, (with a bow in my hair). On my right is Janet Stanton. Also with ribbons in her hair. Does anyone recognise any of the other girls? The lady is serving trifle or jelly in waxed paper dishes, glace cherry on top. In the other photo is my brother David Young. 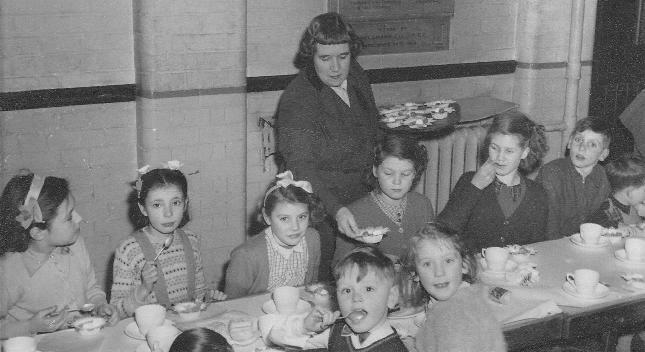 He is the blond boy, second from the left, wearing a light coloured jumper. I cannot put a name to any one else.